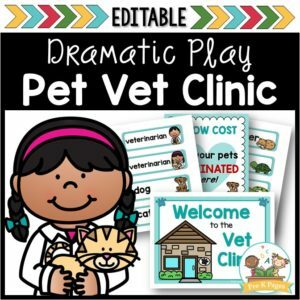 72 pages of printable props to help you easily transform your dramatic play center into a Veterinarian’s Office. 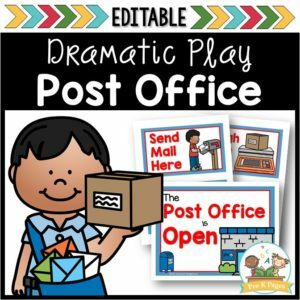 86 pages of printable props to help you easily transform your dramatic play center into an adorable post office. 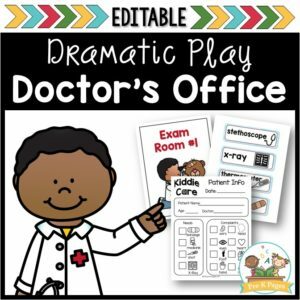 Printable props to help you transform your dramatic play center into a doctor’s office. 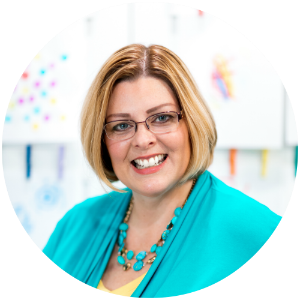 Includes literacy, math, and writing opportunities that align with current learning standards.